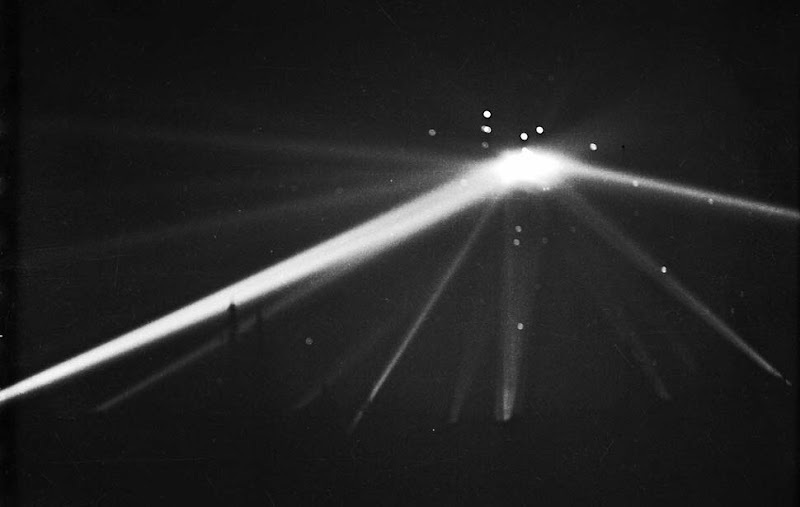 The Battle of Los Angeles, also known as The Great Los Angeles Air Raid, is the name given by contemporary sources to the rumored enemy attack and subsequent anti-aircraft artillery barrage which took place from late February 24 to early February 25, 1942 over Los Angeles, California. The incident occurred less than three months after the United States entered World War II as a result of the Japanese Imperial Navy's attack on Pearl Harbor, and one day after the Bombardment of Ellwood on February 23. Initially, the target of the aerial barrage was thought to be an attacking force from Japan, but speaking at a press conference shortly afterward, Secretary of the Navy Frank Knox called the incident a "false alarm." Newspapers of the time published a number of sensational reports and speculations of a cover-up. A small number of modern-day UFOlogists have suggested the targets were extraterrestrial spacecraft. When documenting the incident in 1983, the U.S. Office of Air Force History attributed the event to a case of "war nerves" likely triggered by a lost weather balloon and exacerbated by stray flares and shell bursts from adjoining batteries.